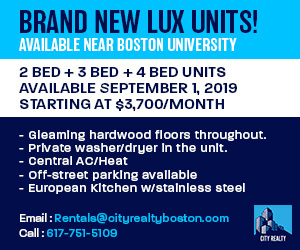 Should mayoral candidate Tito Jackson and Boston Mayor Martin Walsh advance in the preliminary, it would take a perfect storm to brew in the city for Jackson to dethrone incumbent Walsh this November, said Gregory Payne, chair of Emerson College’s Department of Communication Studies. The Emerson College Polling Society released the results of a survey on Monday that displayed Walsh as the current candidate favored to win the mayoral election. He’s ahead of Jackson by 31 percent, and leads in every demographic aside from the millennial vote — including Jackson’s own home district, Payne said. Also in the running are East Boston’s Robert Cappucci, former school committee member, who trails Walsh by 45 percent, and East Boston’s Joseph Wiley, health insurance worker, who trails Walsh by 47 percent, according to the poll. The preliminary municipal election will be held from 7 a.m. to 8 p.m. Tuesday, determining whether these polls are accurate or not. Payne said the polls were conducted from Sept. 14 through 16, in which likely voters in Boston for the upcoming mayoral election, as well as registered voters for the general election, were asked a variety of questions concerning the current mayoral candidates and issues relevant to the city. Despite the meticulous work of the polling society, Payne said the will of the voters is always subject to change. Issues such as the affordability of housing appeared to raise questions among the public, Payne said, with the highest percentage of voters at 36 percent viewing it as very unaffordable, but none of the issues seem compelling enough to drive people to the polls. Based on the results of the survey, Payne said a low to average voter turnout can be expected, a statistic which may be problematic for Jackson, since younger voters — a demographic he leads with 37 to 17 points against Walsh — tend to vote less reliably than older voters. Gabrielle Farrell, press secretary for the mayor, wrote in an email that Walsh is currently speaking with as many members of the community as possible, and he has recruited volunteers from across the city to help increase voter turnout. “We’re thrilled with the enthusiasm and response, but are taking nothing for granted over these last few days before the preliminary election,” Farrell wrote. Jackson’s campaign could not be reached for comment. John Portz, professor of political science at Northeastern University, said the power of incumbency can play a significant role in determining election results, a feat Walsh is taking full advantage of. In regards to the millennial category of voters, Portz said that specific demographic tends to lean more favorably towards a challenger — in this case Jackson — as they represent someone who is willing to push back against the establishment, which Walsh represents as the incumbent. 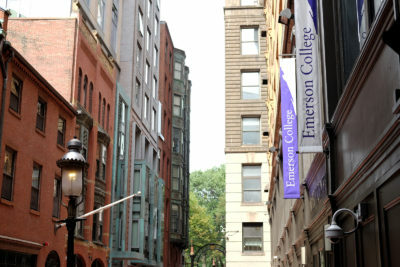 Several Boston residents expressed mixed opinions on Emerson’s poll, depending largely upon the mayoral candidate they preferred. Emily Shell, 35, of Dorchester, said she has been heavily involved with Jackson’s campaign, helping with election events such as phone banking, and hopes the polls are proved wrong. Anton Sebles, 32, of Mattapan, said while he’s not entirely sure how election day will pan out, he favors Walsh for mayor. Liz Leberman, 29, of the South End, said her exposure to Walsh thus far has only been positive, and hopes he is reelected this coming fall.